To make a booking, please select the type of appointment that you would like to book in for. Remember to check that you have also chosen the appointment type with the desired appointment length where applicable. A deposit of $25 is required at the time of booking. The rest of the treatment cost will be paid when you come for your treatment. This is also our fee should you not attend your appointment without giving at least 12 hours notice. With remedial massage, therapists are trained to assess your body, observe changes over time, and design individual treatment plans for each client. You will be required to lay face down to begin, with underwear on, you will be draped with towels for modesty and warmth. 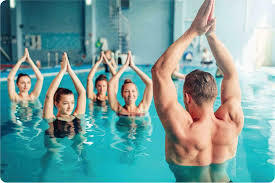 Your therapist will then treat you with a variety of stretching movements, massage techniques etc to improve the areas of concern. You may be a little sore the next day but that can be eased with a heat pack or a hot shower. A deposit of $25 is required at the time of booking. The rest of the treatment cost will be paid when you come for your treatment. This is also our fee should you not attend your appointment without giving at least 12 hours notice. If you fail to attend your appointment, you will forfeit the $25 deposit you have paid. You will begin laying face down, leaving underwear on (bras can be left on but will need to be undone for the purpose of treatment) and you will be draped with towels for modesty and warmth. The therapist will treat you with slow, gentle strokes to calm the nervous system and give you a lovely relaxing experience. This is an invasive procedure in which a sterile, thin, solid filament needle is used. 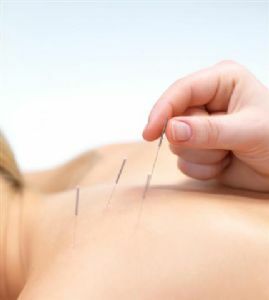 Dry Needling involves insertion and repetitive manipulation of the needle in the myofascial trigger points. The purpose of this technique is to deactivate the myofascial trigger points by producing a local twitch response. This local twitch response then releases the shortened bands of muscle fibres. The result is muscle relaxation and pain relief. No medication of any kind is injected. Appointments are approximately 45 minutes in length (with breaks for babies/children), and require a full medical history of ailments and medication. 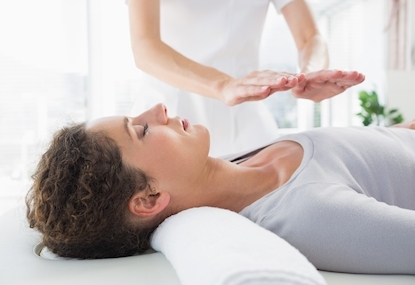 The session is performed with the client reclining on a treatment table while the Craniosacral Therapist sits, positioned at various times throughout the session at the client’s head, middle torso, or feet. The client remains fully clothed. The treatment is performed primarily on your skull and tailbone area, as well as other areas as needed. 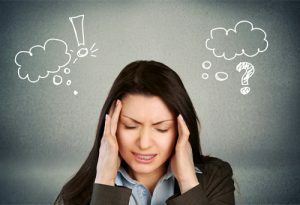 As gentle and controlled pressure is applied to nerve-specific points on the body during a Neuroskeletal Therapy treatment, this stimulates tension activity that causes changes within and around stressed muscles. This simple neurological process explains the changes in activity of skeletal muscles during the treatment, and therefore the subsequent changes that occur in the body structure following the treatment. Treatment is non-invasive with full clothing on, although jeans are not recommended. Manual lymphatic drainage massage stimulates the lymphatic system with extremely light, circular movements. How is the drainage done and what is lymph drainage? Lymph drainage massage (also called lymphatic drainage and lymph massage) is a form of very light massage that encourages lymph flow in the body. It is particularly good for detoxification, after chemotherapy/radiation, pre- and post-plastic surgery, post-liposuction, and for reducing inflammation, swelling, blue bruising, fluid retention, or oedema. It can also help with cellulite treatments, scar tissue, spider veins, redness, and acne. Lymphatic Drainage is a gentle whole body treatment that relaxes the nervous system and helps to increase the body’s immune system. The ionic foot detox is gentle, safe, and non-invasive, you only need remove your shoes and socks. You will sit for approximately 30 minutes in a hot foot bath with the ionizer doing the work, so sit back and relax. The benefit of this form of detox is that it is, “gentle and safe, and not compromising because it bypasses the gastro-intestinal system". Great way to gently get some muscle back, reduce pain and improve quality of life.